Hi, In this Post I would like to share information regarding PANCHARAMALU (Lord Siva temples) located in different parts of Andhra Pradesh . When Lord Shiva killed Thripurasura with Pasupathasthra .The SHIVALINGA which was worshiped by him was made into 5 pieces. They fell in different places. Lord Shiva told Devathas to install them at the places where they fell immediately as they start growing there itself. The places where they are installed are called as PANCHARAMALU. There is a belief that it is good to see all five Pancharamas in a single day. The first one of Pancharamalu is Amararamam in Amaravathi, Gunter District, AndhraPradesh. As Lord Siva ordered the Devathas to install the pieces of Linga at places where they fell, Indra went to the place where large portion of the Linga fell, by then itself that portion started growing in the form of Sivalinga. Lord Indra installed it on Asvija shudha dasami and worshipped the Linga .As Indra installed the Linga that place is called by his name as Amararamam (Amaravathi). Lord Shiva is called as AMARESWARA. 33crores Devathas worshipped there to get the power to defeat the demons(Asura's.or Rakshasa's). As river Krishna is flowing there it became theertha. Those who bath in Krishna river and worship Amareswara will get fruits of doing 1000 Yagnas, many Vagpayayagnas and Donating thousands of cows to a Brahmins. It is believed that those who visit this temple will not have Rebirth (next janma). There are 3 Prakaras. In these three Prakaras there are eleven Lingas Installed. When you go in Pradakshana you can see Pranaveswara Swamy, Shankaracharya, Kasi Viswanath, Uma Maheswara Swamy, Dattatraya Swamy, Ruda Padalu, Jwalamukhi Devi, Kosaleswara and Veerabhadhra Swamy. From here you can go to Krishna river. During Dasara special poojas are performed here to the goddess in this Prakara. In the second prakara when you enter through east direction and go by pradakshana you can see Vinayaka, Kala Bhirava, Thulla Bhara Mandapams built by Sri Krishna Devaraya and Venkatadri Naidu. Kumara Swamy, Anjaneya Swamy temples are present. Kalabhirava is Shetra Palaka. You can also see VenuGopala Swamy temple .In east direction. Near Dwajasthambam Surya Bhagawan is installed. You can see Dwajasthambam in four directions. After praying to Nandi, pray to Amareswara and Bala Chamundewari Devi. In Garbalaya Amareswara Swamy is 10 feet height so abhishakam is performed by using the stairs laid by the side of the Linga on both sides. The temple is renovated by Raja Vasireddy Venkatadri Naidu. Another place where the portion of SivaLinga felt is Draksharamam. Draksharamam is also known as Dakshavatika earlier. Unlike other Pancharamas this Pancharamam has a specialty, it is also among the Trilinga Ksetras (Srisailam, Draksharamam, Kaleswaram) and Draksharamam is one among the 18 Shakthipeetas (Manikyamba Devi). It is said that Sankaracharya asked Manikyamba Devi to turn her eyes to sides as she is very powerful and people cannot bear power of the her eyes seeing straight . Draksharamam is also called as Dakshina Kasi. As Kaasi is Mukthi Kshetra , Draksharamam is both Boga and Mukthi Khsetra .We can get details of Draksharamam in Skanda Puranam. Here Daksha Prajapathi performed Yagna so it is called as Drakshavatika. Daksha Prajapathi is father of SathiDevi, wife of LordSiva. He wanted to perform an Yagna. He invited all gods and goddesses to the Yagna other than Lord Shiva and SathiDevi. SathiDevi wanted to see the Yaga and asked Lord Shiva also to accompany here. Lord Shiva refused to accompany here, so she alone went to Dakshavatika. There she was insulted. She created fire by rubbing her toe to the Earth and sacrificed her life. Lord Shiva got angry and he created Veerabadhra Swamy from his Jatajuta and asked him to destroy Drakshavatika. After Drashavatika is destroyed, Lord Shiva took the body of SathiDevi on his shoulders and started to do Layathandavam. Inorder to cool down Lord Shiva, Lord Vishnu has cut SathiDevi’s body into 18 pieces by his Sudarsanachakra. The places where they fell are called as ASTADASA SHAKTHIPEETALU. The place where Dakshayini (SathiDevi) sacrificed her life, LordSiva came as Swayumbuvu(self manifested) as BhimaSwamy and he was first worshiped by God Sun. At the time of installation of Swayambu Bhimeswara Swamy, Saptarishis wanted to get Godavari which is flowing 10kms away from Draksharamam. They thought to bring Godavari with them to Draksharamam, another rishi, called Thulya thought Godavari would destroy his Yagna if Saptharishis do so. As fight started between them, Vedavyasa Maharihsi solved the problem, by telling them that Godavari will be flowing under ground until it reaches Drakshavatika and there it will come out as a Puskarini by the name Sapthagodavari. By the time Saptharishis came to Draksharamam Swayambu Bhimaswara Swamy got installed by him self as it is getting late and God Surya did Abishekam to Bhimeswara Swamy first, with the Saptha Godavari water. It is said that in evening times as fresh air comes over this Godavari, Lord Shiva will be in relaxed position and all the snakes (ornaments of Lord Shiva) will eat the air coming from this Godavari(in our Sastras it is said that snakes eat the air coming over the water) and Lord Shiva is also in happy mood .So our prayers will be fulfilled easily at that time. I went to Draksharamam twice at evenings and my wishses were fulfilled immediately with in 20 days. Both Manikyamba Devi and Bhimaswara Swamy are very powerful. 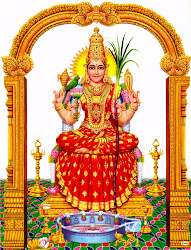 Perform Kumkuma pooja to Manikyamba Devi. At evening there won’t be Abishekam to Lord Shiva(only mornings). In Draksharamam, to calm down the anger of Lord Shiva, Lord Chandra installed 8 Someswara temples around Draksharamam. They are Kolanka, Venturu, Kotipalli, Vella, Damgaru, Korumella, Someswaram, Penumalla. There are also separate Shivalingas and Devi temples for each Rasi and for each Nakshatra Padam separately. First worship by Nama Nakshatra, or by birth star and then go to RASI LINGA and then go to Draksharamam and get rid of ILL EFFECTS OF GRAHAS. I will publish the details in my coming post. If u can have an aerial view of all these temples together, it looks like a lotus flower .Due to lack of publicity many people don’t know about these temples. PLEASE DO TRY TO SEE THEM. Next temple in Pancharamalu is Ksheraramam. Ksheraramam is in Palakollu, West Godavari district. According to Puranas, like in Rameswaram in Tamilandu. Lord Srirama also worshipped Siva in this temple, so it is also called as KsheraRamalingeswara Swamy. Here SivaLinga is in white colour. In the place where the temple exits now,It is said that Lord Siva brought out milk from earth by using his arrow by using his arrow. So the place is called Palakollu. This temple was built by Chanukya kings in 10-11 centuries. Main attraction in this temple is Goopuram. It is 125 feet height and it has 9 floors. It is one of the tallest Goopurams in Andhrapradesh. It is140km from Vijayawada and 90km from Draksharamam. Next one in Pacharamalu is Somaramam. Lord Someswara Swamy is in Gunipudi, Bhimavaram,West Godhavari, AndhraPradesh. The temple here is called Sri Someshwara Janardhana Swamy. It is just 22kms away from Palakollu. TEMPLE TIMINGS: 5.00am to 11.00am and 4.00pm to 8.00pm. As it is a village, temple will be closed by11am. To perform Abishekam. It is best to be there by 9.30-10am. There is a pond in front of the temple called as Somakundam. Temple is built in 3rd century. Here in Somaramam SivaLinga is about 5 feet height and it is a Spatika Linga. According to the movement of moon, the colour of the SivaLinga will change. On no moon days it turns into blakish brown and on full moon days it is in white colour. Goddess Annapurna is also present in the temple. It is 23kms from Palakollu. 130kms from Vijayawada and 118kms from Samalkota. YENAMADURU -- SAKTEESWARASWAMY TEMPLE(SEERSHASANA SIVA) 6Km away.I will provide the details of this temple in the coming posts. Next temple in Pancharamalu is Kumararamam. It is in Samarlakota, East Godavari district. Kumara Swamy installed this SivaLingam and it is called by his name as Kumararamama. Architecture of this temple resembles Draksharamam. It is also built by Chalukya Bhima by the end of 9th century. The Linga here in Kumararamam is a Spatika Linga and it is up to second floor. All the abishekas and poojas are done in second floor. To the west of the main temple there is 100 pillars hall, in which no two pillars are alike.There is also a swing made of rock in other Mandapam. If you move that rock swing it will swing . Another specialty in this temple is in March-April(Chaitra, Vaisaka) months sun rays directly fall on Siva’s feet in morning and in evenings rays fall on the feet of Balatripurasundari Devi. There is a pond called Bhimagundam. Have a bath in this gundam and perform pooja here it will remove all your sins. It is 43kms from Draksharamam via Kakinada and 50kms from Rajahmundry. Pithapuram, it is a Sakthi Peetam. It is 14kms away from Samarlakota . Good information. I wish I would visit all Pancharamalu with my family. I wish I would visit all Pancharamas in India. Great Information. You have provided the best information available. 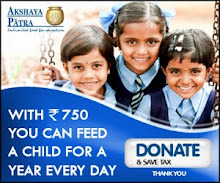 Please continue this blog and let hindu dharma spread its rays in all directions. yes ,RTC runs buses in karthika masam to pancharamalu,which covers all the pancharamalu in one day. Yes, it is really useful. I visited all pancharamalu in one day. If it is Monday in Karthika masam or on Karthika Pournami the temples will be fully crowded. As mentioned one of the Pancharamalu is present in Amaravathi, the new capital of Andhra Pradesh. Amaravathi is named after its historic site. As mentioned there are many places to visit in Amaravathi as the town is a center of pilgrimage to both Hindus and Buddhists. It has historical, spiritual and mythological significance. I really appreciate u r work and helping all with u r information.i recently came to know that i have to perform naga pratishta.but i am in Australia, not possible to come to india .is there any thing else i can do here .mean while i will contact here in temples too ..plz help me ..or if i can ask family to do for me ..plz help me neelima ..
i think ur parents can do on behalf of u.